It seems to be steamy everywhere! 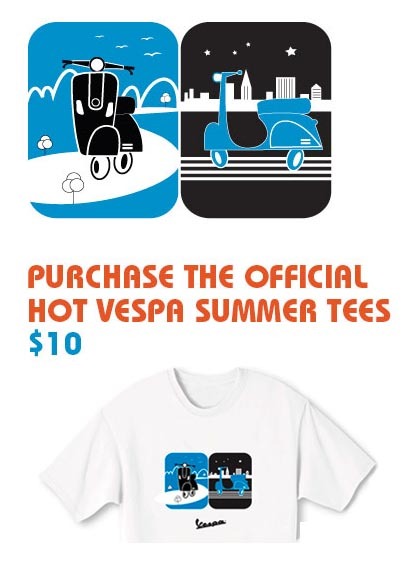 Vespa is running a special on their shirts. Stock up now. Offer ends September 15, 2010. This entry was posted in Clothing and tagged scooter, shirt, t-shirt, vespa by Tracy. Bookmark the permalink.